Applications of stable and radioactive isotopes in groundwater hydrology have a legacy of over five decades in India. Isotope hydrology began in India around 1973, concurrently with the worldwide programme of the International Hydrological Decade (1965–1974) launched by UNESCO. The main thrust of isotope applications initially was the groundwater age estimation and understanding recharge process in alluvial terrain assuming piston-flow approach, followed by, in hard rock terrain, to understand the preferential flow for groundwater recharge. It began with application of environmental and injected tritium but gradually a suite of other radioactive and stable isotopes were employed in groundwater hydrology. Actually, it encompassed examination of the entire hydrological continuum from atmosphere to surface to subsurface components of hydrological cycle rather than just the groundwater age estimation and groundwater recharge processes. Initially, the isotope analyses capabilities were restricted only to a few national laboratories but a few other research and academic institutions also developed these capabilities and initiated isotope hydrology programme. The acquisition of correct basic temporal and spatial data is of paramount importance in preparing groundwater resource management policies and development projects of widely different kinds. This can be achieved only when isotope expertise is transported from leading research institutions to numerous state and central water resource agencies and academic institutions. This is essential for India so that demonstrated potentials of isotope applications in hydrology can be effectively used to mitigate water resource scenario in the country. 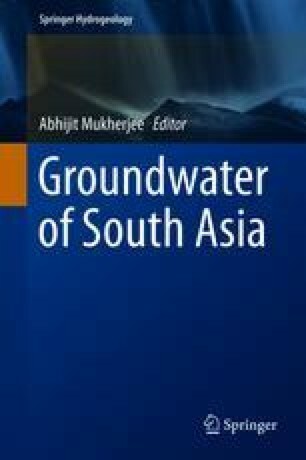 This paper aims to provide a snapshot review of evolution of groundwater isotope hydrology in India over the past five decades. Several isotope hydrologists of India who provided their valuable inputs during several rounds of telephonic discussions regarding the subject matter of this manuscript. I remember and thank them all though individually naming them is not possible. I wish to place on records my sincere gratitude for Dr. S. K. Gupta my teacher and the closest professional colleague during last ~3 decades.